To replace one or many missing teeth, you have various options. 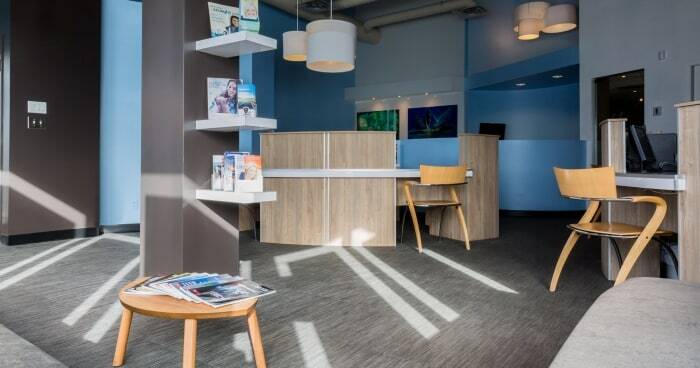 Our dental clinic is located in the heart of LaSalle, corner Boulevard Newman and Avenue Dollard, in the Jean-Coutu complex. Highly qualified, efficient and welcoming, the dental centre team of the Dents Mon Quartier clinic is always up-to-date to the latest technological advances in oral health, ensuring quality care and a wide range of services ... all under one roof! Treat your gum recession without the need for a scalpel or surgery! Read up on the various methods used to straighten your teeth! Cosmetic dentistry offers patients a range of techniques to give you a smile that you will be proud of. Dr. Joumana Charouk, D.M.D., offers a wide range of services in cosmetic dentistry. Get your tooth restore the same day using the Cerec technology. You no longer need multiple appointments to get your crowns placed! Isn't technology great? 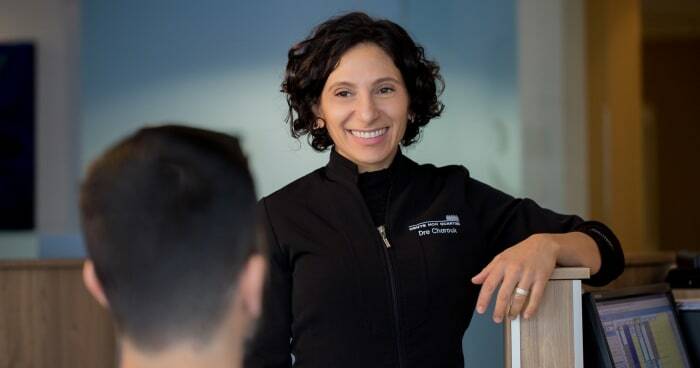 Dr. Joumana Charouk, D.M.D., offers a wide range of general dental services including dental hygiene and prevention , implantology, oral surgery, orthodontics (including Invisalign) and other services. All your dental needs will be met under one roof! Are you suffering from gum disease? Treat it with a non-surgical treatment of gum disease to get nice, healthy gums while preventing the loss of your teeth, bone, bad breath and other health conditions. Our qualified staff is ready to welcome you to our clinic located in the heart of LaSalle! With a caring and compassionate team, you are sure to receive personalized care for your needs in a state-of-the-art facility. 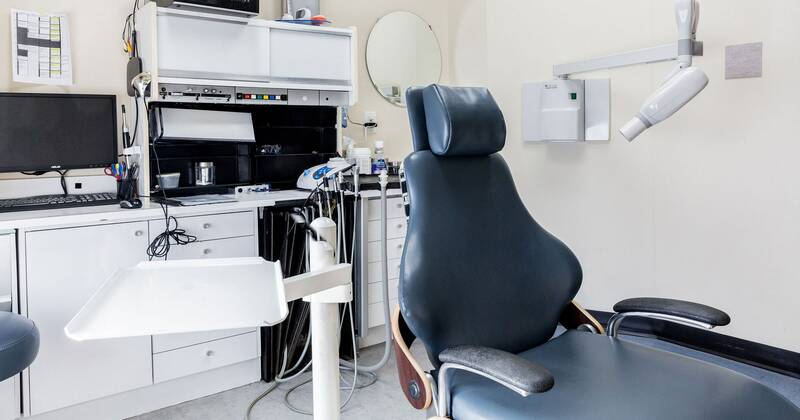 Your oral health is important to us, and with our range of services, we can help you keep a healthy smile, that you’ll be proud of, throughout your life! If you have questions about what we can do to help you keep your mouth in good shape, call us, we will be happy to answer your questions! The mission of the Dents Mon Quartier clinic is simple: we wish to inform our patients about the importance of oral health and prevention while offering them quality dental care in a warm, comfortable and professional atmosphere ... all under one roof. Make an appointment now!